Gamers playing Call of Duty: Advanced Warfare on the PS4 have discovered that the console's newly-minted "Share Play" feature doesn't work with the shooter. This represents something of an inauspicious debut for Sony's new game-sharing feature, which arrived via an update shortly before Advanced Warfare was released. Delivering a great gaming experience for fans is our top priority. We're focused on launching Advanced Warfare and ensuring that people have a great time playing it, which our fans seem to be. Share Play is a new feature that was introduced as part of the recent PS4 firmware 2.00 update. Our engineers didn't have access to it before it launched, so we haven't had a chance to evaluate it to see how it will impact the experience across all modes of play. Of course we wouldn't include a feature in our game without having the chance to test it. Once we've fully analyzed its performance, we'll determine how to support it going forward. I have updated the original story to clarify details that were provided in Activision's statement as well. Advanced Warfare came out on Tuesday. On the same day, Sony updated its customer support page for Advanced Warfare with a statement clarifying, "Certain software titles may restrict the Share Play feature. Call of Duty: Advanced Warfare does not support Share Play for either single-player or multiplayer mode." The customer service site warned that players who attempted to use Share Play with Advanced Warfare would be greeted with a message saying: "The host's game screen is not displayed because the current scene is a blocked scene for Share Play. Wait until the blocked scene is finished." Share Play first came to the PlayStation 4 on October 28th—just five days before Call of Duty: Advanced Warfare launched on the console. The new PS4 feature was a highly anticipated one for many gamers, because it sounded almost too good to be true. The way Sony described it, Share Play would effectively allow you to play any PS4 game that one of your PSN friends owned—provided that you were both PS Plus subscribers, playing online at the same time, and willing to do so in hour-long chunks given a time limit the feature imposes on multiplayer gameplay sessions. Regardless of how Share Play works in practice, PS4 owners who picked up Call of Duty: Advanced Warfare are facing a new reality: some games can opt out of the feature entirely. This newfound obstacle doesn't sit comfortably with the way Sony was describing Share Play prior to its release. Before Share Play arrived on the PS4, Sony promised that the feature would work with any game that doesn't require special peripherals like the PlayStation camera to work properly. As to the question of whether or not third party game developers would get on board with the idea, Sony executive Shuhei Yoshida said back in August, "There is no need for developers to do anything for their games to be compatible with Share Play." According to Activision, however, the developers didn't feel comfortable just running with it. "Share Play is a new feature that was introduced as part of the recent PS4 firmware 2.00 update," Activision told Kotaku in an emailed statement. "Our engineers didn't have access to it before it launched, so we haven't had a chance to evaluate it to see how it will impact the experience across all modes of play. Of course we wouldn't include a feature in our game without having the chance to test it. Once we've fully analyzed its performance, we'll determine how to support it going forward." 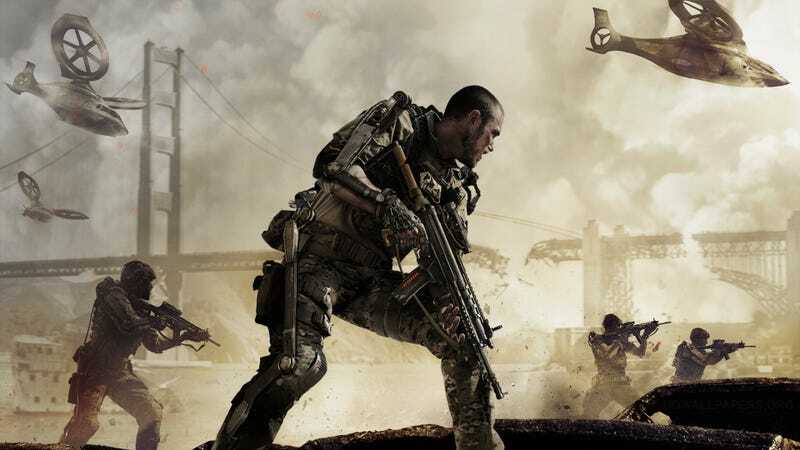 Following reports that Call of Duty players weren't able to get Share Play to work on either Advanced Warfare or last year's Ghosts, a Sony representative told GameSpot that while "Share Play is a system level feature enabled by System Software Update 2.0 making it available for all PS4 titles," developers are able to "disable the feature according to what they feel will best benefit the consumer experience." Two Call of Duty games blocking off access to Share Play isn't indicative of a trend, certainly. But a game as big as Call of Duty coming out of the gate with Share Play turned off can't be a good sign for third-party developers taking to Sony's new game-sharing feature. It remains to be seen how other big games will handle Share Play.